We invite you to check out the November-December issue of The Earth Observer. 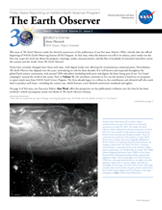 The issue includes a report from the GEO-CAPE Air Quality Science Workshop, focusing on the Atmospheric Composition Virtual Constellation (AC-VC), whose goal is to collect and deliver data to improve monitoring, assessment, and model predictions for changes in the ozone layer, air quality, and climate forcing. 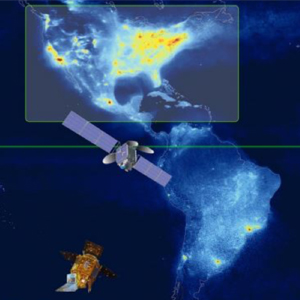 The newsletter also includes updates from the DSCOVR mission, the 2018 Vector-Borne and Water-Related Disease Workshop, twenty-first OMI Science Team Meeting, thirtieth CERES Science Team Meeting, and 2018 Earth Radiation Budget Workshop.